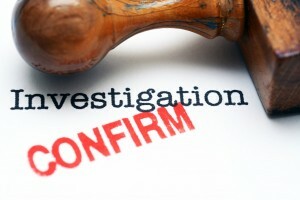 There are numerous types of investigations that take place at any given moment. Some of them don’t fall into a nice neat category. Those cases require a general private investigation with the help of Riverside County licensed investigator. There are a variety of benefits pertaining to having a general private investigation conducted by a qualified professional. Private investigators can legally search for, collect, and test evidence. Private investigators can testify as to their findings in a court of law. Private investigators understand legal and ethical limits. Private investigators have an array of investigative resources not available to the common citizen. Private investigators can find information before it is too late. Private investigators can work undercover. What Is Considered a General Private Investigation? Each investigation is labeled differently depending on the services required. However, it is important to note that the labeling of your investigation might affect the overall cost of the services rendered. This means, having your case labeled as a “general private investigation” may not necessarily be a bad thing. Your case will be labeled based on what the Riverside County licensed investigator thinks is appropriate. If you have questions, be sure to ask. Having an investigation is, by definition, simply the process of finding answers to questions. If you suspect your spouse is cheating, think you’re being ripped off, or need more information about a potential employee/employer, then a Riverside County licensed investigator is needed. Generally, private investigations can be started immediately and tend to cover nearly any mystery. Looking for evidence to solve a crime. Proving that a spouse is cheating. Discovering the source of fraud. Of course, general private investigations involve many more types of cases. In order to know whether you have reason to hire a Riverside County licensed investigator, be sure to collect your evidence and get in contact as soon as possible. Is your Private Investigation firm fully covered by insurance? Are your PIs licensed and bonded for legal practice in the state of Riverside County? What sort of experience does your team have? Is there a contract to sign and will I have time to review it before the investigation begins? What are the costs for the investigation? For more information on having a general private investigation conducted on your behalf, or to hire a Riverside County licensed investigator immediately, call (951) 344-6306. We provide you with a free initial consultation and price quote for our services.